I absolutely love coffee, but on the contrary my hubby loves tea. Also according to him, coffee is bad for health so he restricts me from having it once a week. 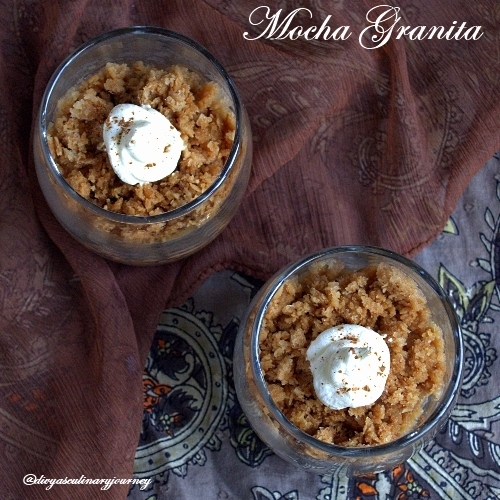 One afternoon was watching food network and came across this mocha granita by Melissa d'Arabian and instantly wanted to try this. Coffee and chocolate make a great combo and it is very easy to make and perfect for this weather so there was no stopping. Mix the coffee, milk, sugar and chocolate syrup until they are well combined. Transfer them in a freezer safe container. Freeze them till they are firm, stirring every 45 minutes. Before serving, scrape it with fork to form crystals. 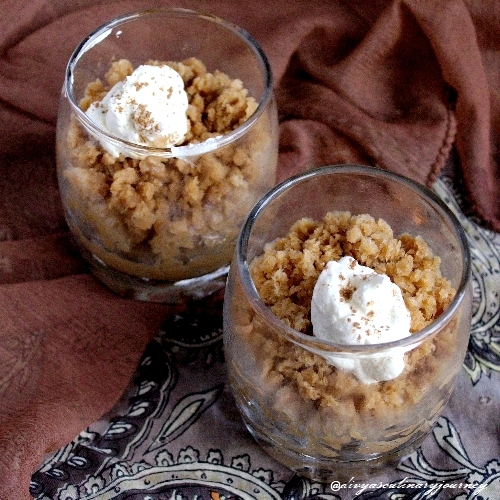 Scoop the granite into the serving dish of your choice, top it with whipped cream and enjoy. 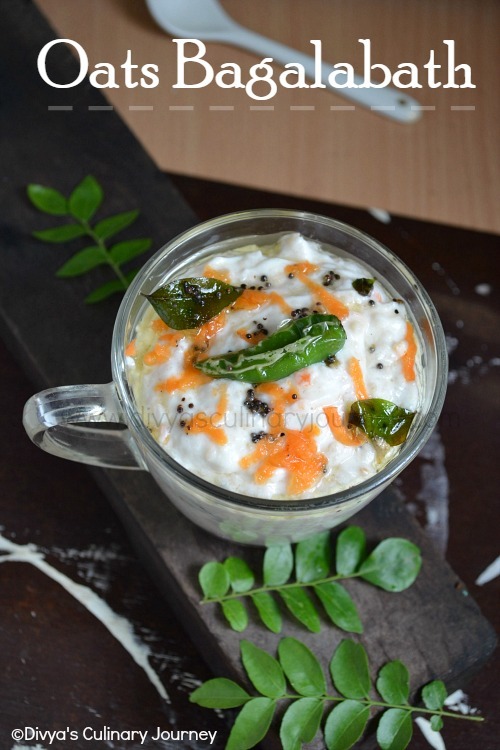 Very simple but looks so delicious. Love your coffee & chocolate flavoured granita. Wow! looks great Divya,nice clicks! The flavour of this granita sounds delicious - and perfectly refreshing! I adore coffee-flavoured desserts. This must be very tasty. 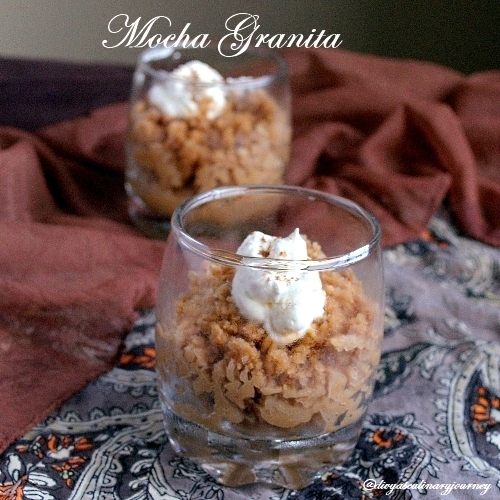 Omg, granita makes me drool, wish i live near you..Inviting. This sounds like a little scoop of heaven! I've never heard of granitas before now, but I won't be passing up the chance to try this. Thanks for sharing!